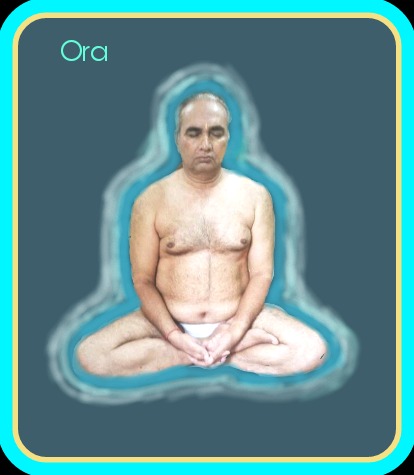 Avtari Purush Rohtas: * ORA * WHAT IS ORA ? Ora is a divine power which we can not see with our physical eyes, we can observe with the help of our divine third eye being introvert in internal divine universe. It is a Symbol of Divinity and circulates out side of our body, we can observe it during meditation only. A " Gunateet " true devotee blessed by God with divine virtues along with Divine Ora.
" * ORA * Is A Simbol Of Divinity "